The tabloids are full of stories about celebrities who have passed away without wills or other end-of-life documents in place. From Elvis Presley to – most recently – Prince, celebrities often break this cardinal rule of financial planning, leaving their families to divvy up their assets. But celebrities aren’t the only people who should have estate plans. Everyone – regardless of income level – should have a plan in place to make sure their financial affairs are in order after they pass on. Take Inventory of What You Have and Determine its Value: Taking inventory of your belongings is the first step to developing a comprehensive estate plan. Any and all items you can make decisions about – including financial assets, real estate, and even intangible property such as patents or copyrights – should be accounted for. Then, determine the financial value of each asset. Debt should also be taken into account. Remember to take an inventory of your beneficiary designations on IRA accounts, life insurance and group benefits. Make sure the beneficiaries listed are still the ones you want. Choose Your Beneficiaries and Decision Makers: These designations are crucial to estate planning. Beneficiaries – the recipients of your funds, trusts, or property – are typically a spouse, child, relative or friend. They can be decision makers too. Choose someone responsible who can be charged with administering the assets of your estate, takes care of any remaining financial obligations, and ensures your wishes are carried out. Consider Setting Up a Revocable Trust: Setting up a trust can provide a way to pass assets to beneficiaries. Revocable trusts allow for management of your property while you’re alive and allows property to pass to your beneficiaries without a court proceeding. During your lifetime you can make changes to the terms of the trust. Upon your passing, the provisions can no longer be altered. Revocable trusts allow for an added layer of control and privacy over your assets that is not possible when assets are left directly to beneficiaries. 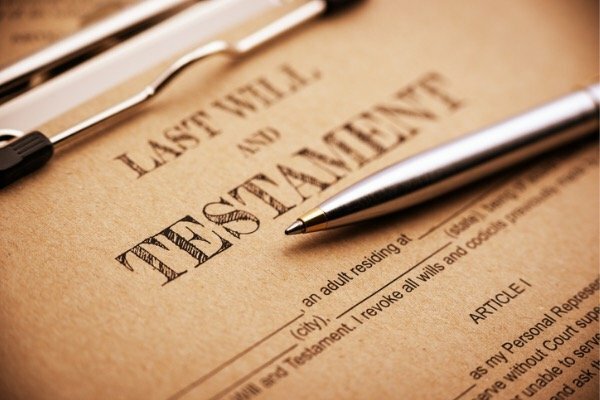 Write a Will and Establish End-of-Life Documents: Upon your death, your will governs who will receive property not otherwise designated by titling, the terms of a trust, or by beneficiary designation (such as on retirement accounts or insurance policies). Other end-of-life documents might include a living will, dictating decisions related to what should or should not be done to keep you alive, health care powers, or a simple letter regarding how you would like to be laid to rest. Periodically Review and Update Your Estate Plan: As long as people keep living and their worlds keep changing, there is always the possibility that the plan they put in place no longer works as intended. That is why estate planning cannot be a “once-and-done” event. Life events – such as federal estate tax exemption changes, moving across state lines, or changes in the lives of your beneficiaries – affect your estate plan. Review your plan each year to ensure that it is current. A version of this post originally appeared on LetsMakeAPlan.org.